Labour has claimed victory for its opposition to George Osborne’s austerity charter after his successor scrapped it in a move John McDonnell branded as an admission of “the failed economic agenda of the last six years”. 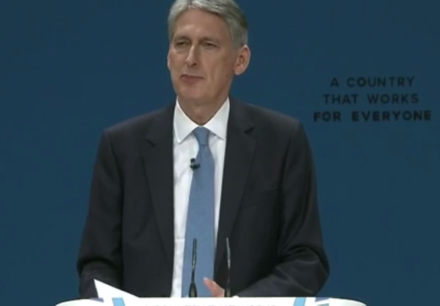 Hammond, the new Chancellor, this morning axed the Tory deficit target and will no longer seek to balance the books by 2020, in a remarkable repudiation of the economic strategy during Osborne’s time at the Exchequer. Shadow Chancellor McDonnell has said that he welcomes the move away from an arbitrary target, as set out in the fiscal charter, but warned that Hammond’s speech “was full of the same empty promises George Osborne made”. “Although we welcome the Chancellor abandoning George Osborne’s fiscal approach, justifying Labour’s approach in opposing it, he still needs to now actually provide the investment we really need. That is why Labour has consistently called for an investment programme in line with what many independent experts are calling for, and the timing of which will be based upon OBR forecasts and the timetable for Brexit.